1. I confess that I am ready to break up with winter. We are done, my feelings of love towards winter are gone. I am ready for sunshine, warmth and flip flops! 2. 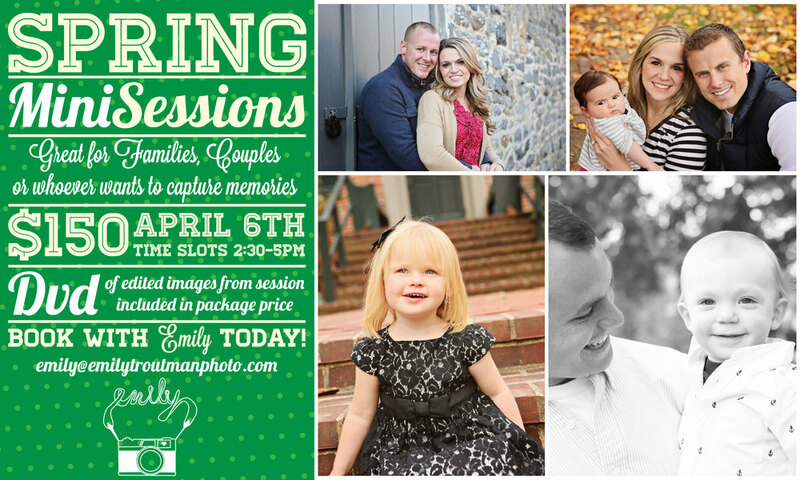 SO speaking of spring, it's time for mini sessions! I has been toying with the idea and thought, why not?! Details in image below, it's first come, first serve and $25 deposits are NON-refundable. I am still debating on location but it will be somewhere between Newark & Middletown, message me if you have an idea for a great spot that doesn't charge an entrance fee! 4. Speaking of style, I had a GREAT find at Target last week. This beautiful bag has already gotten tons of compliments and "where did you get that?" The color is just as great in person and the texture is soft like leather (not sure that it is real leather though). Price was $34.99, can't complain about that either! 5. I am starting to look into activities for preschoolers for the spring and summer. I really want to get a thing or two the twins can be involved in because once school is out, they will miss interacting with all their little friends. I will also miss having planned activities for them :) If you know of a good little soccer league, gymnastic tumbling class or anything else fun for two almost-4-year-olds, let me know! 6. Free Iced Coffee Mondays are back at Dunkin Donuts, who's cheering with me?! 7. Many of us find ourselves on pinterest, wondering if we will ever use any of these ideas we pin. Who has actually used it to make a project or cook a recipe lately?! I have!! Just made these muffins today and they were super yummy. What have you tried lately that you liked? ?